​The Financial Times today publishes a podcast by Michael Pettis – an author belonging to the ‘China will have a drastic slowdown’ school who the FT has published before. 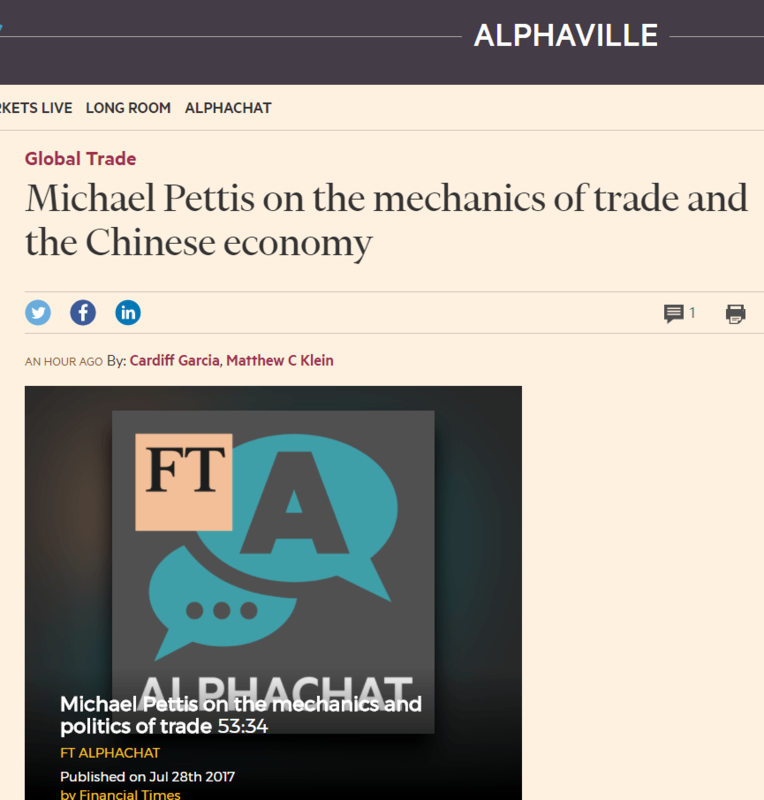 Pettis is cited in some media as a ‘China expert’ – the Carnegie Endowment for International Peace, where he is a Senior Fellow, describes him as ‘a noted expert on China’s economy.’ Eeaders are therefore likely to encounter Michael Pettis and I have written a short comment on the FT article showing his inaccuracy – as with all the China hard landing school. It is below. 11 March 2012: ‘I still maintain that average growth in this decade will barely break 3%’ – so far this decade China’s annual average growth has been 7.7%. These are not detailed errors, which are inevitable, but a fundamentally wrong analysis of China’s dynamic and are due to underconsumptionist economic theories in The Great Rebalancing. To make an obvious point, but one too often neglected, to be an ‘expert on China’ is not to write many words that are inaccurate about China, it is to write analyses which are accurate about China. But at least Micheal Pettis edited his blog in way that these errors could be pointed out.